The 2017 Mavs Wear (a.k.a FanWear) Line is finally available! All orders must be made by December 3rd before the online store closes. Shipping will be made directly to the clubs main address. You simply order and pay online! Individual and group orders can be made too! Get yours today and be proud to wear your Maverick colours! *Please note, we have some previous inventory such as bags, shorts and a few other items that can be purchased from the Club. 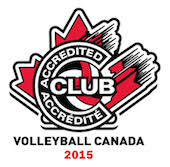 Contact chris@maverickvolleyball.ca directly for more info.